Android ruled the mobile roost in 2013, accounting for almost 80 per cent of all devices shipped throughout the year, according to research conducted in over 50 countries by Canalys. 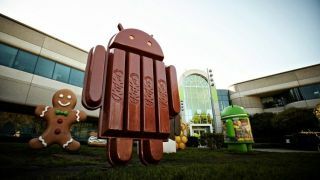 The report shows that Android was loaded on 785 million of the 998 million smartphones shipped globally in 2013, marking a 54 per cent increase in shipments over the year before. This gives Google's popular open source platform a whopping 79 per cent market share for 2013, up significantly from the already impressive 68 per cent slice of the pie it gobbled up in 2012. It seems like there's no stopping the little green robot. One of its main supporters, Samsung, continued to take the lead, accounting for 32 per cent of the overall market, more than double that of Apple, which took second place. The growth means rivals have to suffer, and Apple lost the most, with its market share falling from 20 per cent in 2012 to 15 per cent. Year-on-year shipment growth was just 7 per cent, with Apple moving 154 million units. However, its market share for the fourth quarter grew from 13 per cent to 17 per cent. This is likely due to the pre-Christmas shopping frenzy, when Apple products are often high on people's lists. Interestingly, Windows Phone saw the biggest year-on-year growth of 69 per cent. 32.1 million units with Microsoft's mobile OS shipped in 2013, but it still only managed to grab 3 per cent of the market, up one percentage point from the year before. Canalys believes that Lenovo, which managed to squeeze into third place behind Samsung and Apple in 2013, will double its market share over the next two years, thanks to its recent acquisition of Motorola.